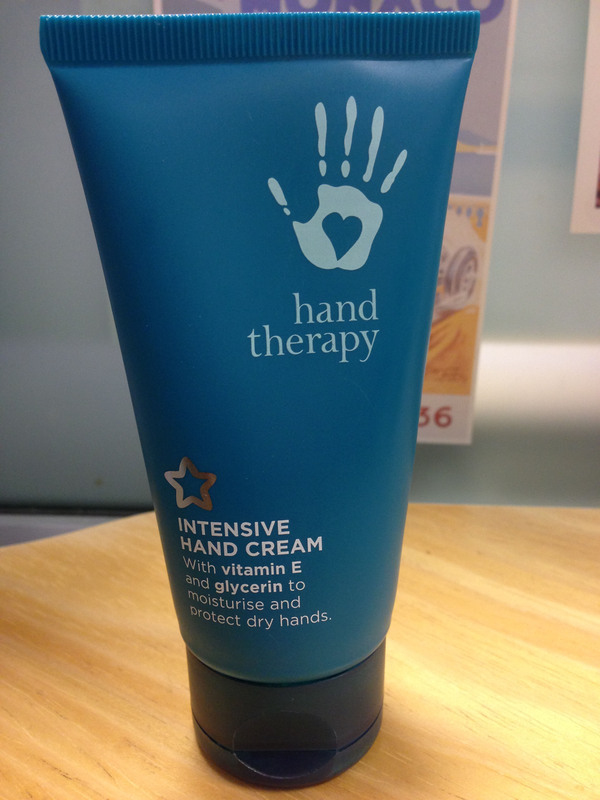 I love hand cream – I use it constantly and always have one on my desk at work. I also currently have two more hand creams on the go at home, and that’s what has inspired today’s post. In essence, a battle of the hand creams. I think this has a nice smell, and I was initially drawn to it because of the contemporary look of the packaging and the fact that it was being sold at outlet store prices (£1.50 for 250ml). I don’t particularly like this hand cream though as it is thin, runny and it leaves my hands feeling greasy. It also doesn’t seem to moisturize my hands very well. It doesn’t have a long-lasting effect, which means that I have to keep applying it. Basically I’m not convinced that this hand cream is doing my hands much good at all. No definitely not. I wish my existing bottle would go down quicker! On the plus side, M&S cosmetics are cruelty free (BUAV approved), but that doesn’t make up for all the flaws in this hand cream. I’d consider trying different M&S ranges though. This is the one I keep on my desk at work, as it is a small, low-cost, unobtrusive tube. The hand cream is thick and creamy, and I only need a small amount on each application. This means that a small 75ml tube is lasting me ages, even though I apply it several times a day. It smells quite nice and leaves my hands soft and moisturised (and not greasy!) – a feeling that lasts for hours! The tube says it also protects your hands with vitamin E and glycerine, and it certainly makes them feel protected! Superdrug is a cruelty free brand, and best of all, the 75ml tube only cost me 99p. Yes. I’m loving using this at work, so I plan to restock with the same product when the tube eventually runs out. 3. 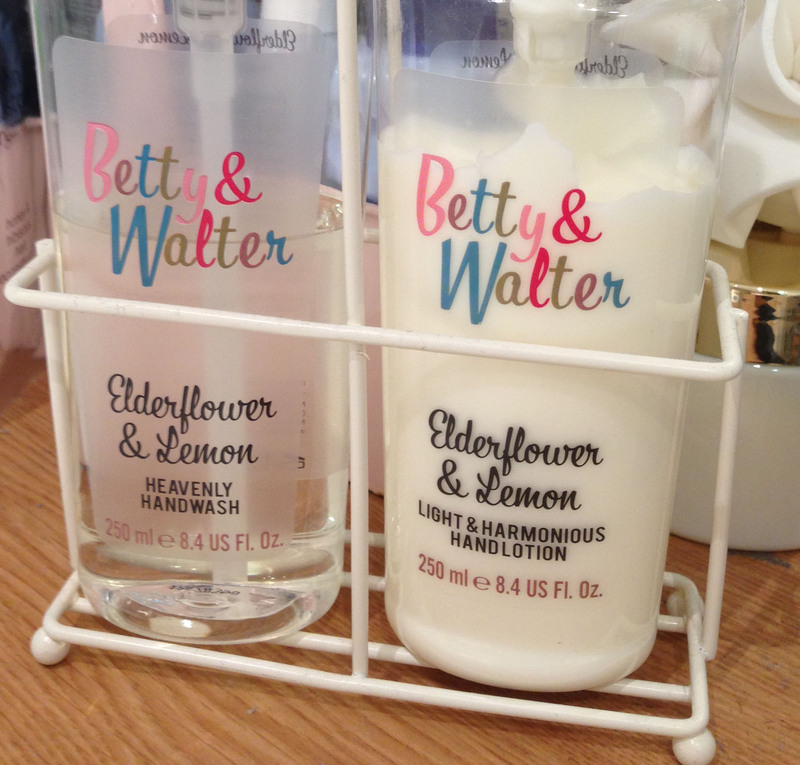 Betty & Walter elderflower and lemon hand lotion. I bought this hand wash and hand lotion bathroom set in the Boots half price gift sale in January. It came packaged as a gift, so I’m not even sure if it’s something I could find again. 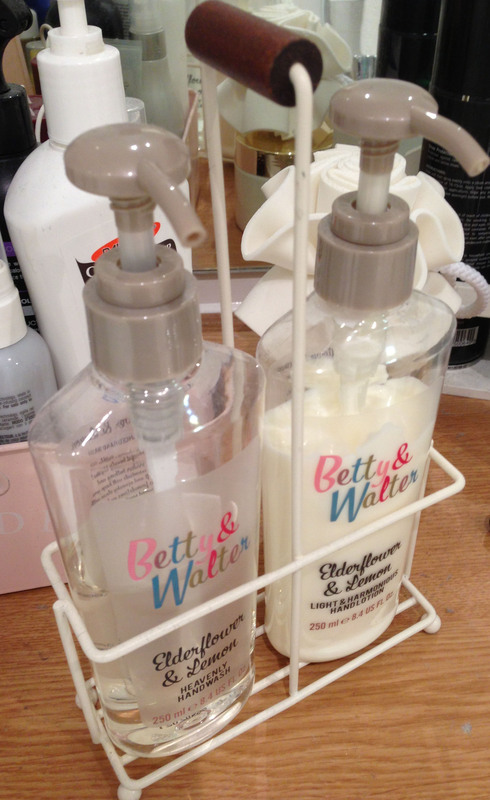 However, I do love having it in my bathroom in its cute little wire carrier. I think it’s a nice homely touch! It was definitely the packaging that caught my eye and sold the product to me. I also thought that the elderflower and lemon scent combination would be appealing, and I have to say, I’m not disappointed with the smell. It’s my favourite scent of the three hand creams – very fresh and summery. It’s a nice treat to wash my hands with the hand wash and then moisturize with the hand cream, which is lovely and thick and feels really nice on my hands for quite a long time afterwards. It’s not greasy either. If I found this hand cream again (I’m not sure if I could as it was a Christmas gift set from Boots), if it was cruelty free and also a reasonable price then I would. I definitely enjoy using it. I do also have plans for this packaging afterwards– possibly involving refilling the bottles, as I like having this little set in my bathroom. Superdrug wins it for me. It’s so much better than the 99p price tag would suggest! ‹ PreviousOutfit post: first bare legs of the year! I’m not the biggest fan of hand creams, but I do always have a little tube of L’occitane Shea Butter hand cream handy, especially for the winter! It’s a little bit pricey but it smells amazing and the benefits are lovely! 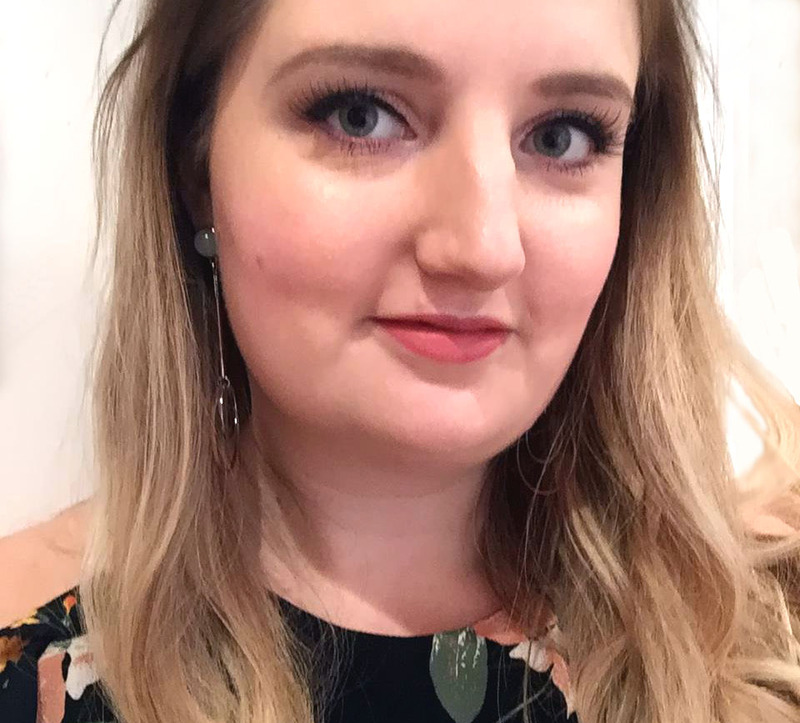 I have nominated you for one of my Liebster Blog Awards, and would love for you to have a look and maybe carry it on with 11 of your favourite blogs! I picked you because I love your blog, and think you deserve a lot more followers and credit!